Every journey we take is different. Some are welcomed; some are feared. Many of us have hidden our anxieties away and never dared to face them. Sometimes it is because we do not believe that there is any real help. Usually, it is because we just do not know how to find peace. Stress, anxieties and their related fears can not only be managed but actually overcome. People worry because they were never designed to handle the stresses of life on their own. God wants to help you. 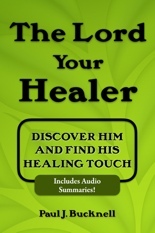 Your Creator has designed a way to experience His inner peace while walking through the stresses of life. The bridge illustrates the pathway across the difficulties of life to His peace. 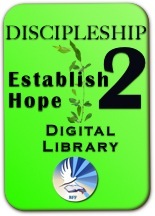 BFF Discipleship #2 Training Library (D2). Each of the ten sessions takes you one step over the bridge. Some steps are more strenuous, others more reflective, but each takes you to know and regularly experience the peace of God. The sessions are listed below. Please start with the first step. The reading is below. Other resources such as worksheets, a reviews, and quizzes and powerpoints can purchased here. Each chapter has an index. More information on using these materials or having a speaker bring this seminar see below. Take the ten steps over the bridge of hope to the peace of God. Each step leads further from anxiety and closer to God and the truths of His Word. 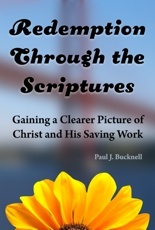 Instruction on how to overcome fears, worries and handle temptation for lasting peace. An introduction of each chapter follows. 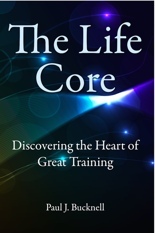 Many people have lost hope that they can deal with their anxieties and stresses of life. 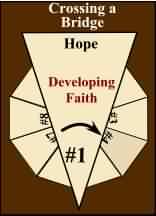 This first step renews your hope in God. In turn this hope produces faith in His care for you. He is desirous and fully able to bring you from your worries to His true peace. This is not the world's peace which doesn't last, but God's peace which keeps our hearts even in the most stress filled times. A father's training of his children to swim illustrates how God personally brings us over this bridge of hope. People worry. This we know! But why? How? Is it normal? Although worry is common, it is not normal. This session clearly explains the source of our worries. Once we discover the problem, then we can see the solution that God has provided for us. This session is able to bring revolutionary changes in our views about our worries and life itself. We share a remarkable story of a how a man through prayer lost all concern and worry and changed the life of an armed robber! Who would think that taking accountability for our own worries would produce such dramatic changes in our lives?! But it does! 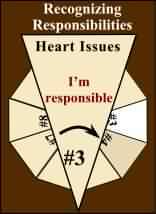 This session clearly explains the power behind accountability and the steps to free oneself from the burden of anxiety. The difference starts when we stop blaming everything around ourselves and admit the worrisome thoughts stem from our own choices. Our choices will lead either to worry or to peace. Our choice! We look at a marvelous account where Jesus refused to worry and found all He needed in a most surprising spot. 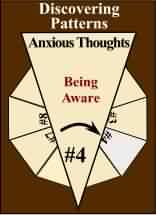 Discerning the relation between anxiety and anxious thoughts. Worries are not like someone at the door asking for permission to come in but a silent intruder that sneaks his way into our homes. Session #4 uncovers how to detect these thieves! By discovering certain patterns, we will gain a whole new awareness of anxiety. As we explore these patterns further, we will actually be able to begin training ourselves not to 'fall' into worry. 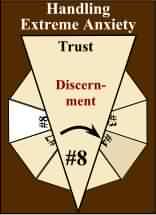 We will study closely how an expert avoided terrific confusion and emotional turmoil by following these principles. Realizing that only God can help us when anxious thoughts strike. Just felt a lump in an unusual spot? Heard you might lose your job? Or do you just have some whacky fear that is keeping you up at night? Session five provides the ammunition one needs to fight against overpowering thoughts. After learning the three steps to overcoming these anxious thoughts, we will practically apply this to both strong feelings and financial burdens. Also don't forget to find out why all the children started laughing over difficult circumstances during family prayers. People have tried so long and hard to get rid of their worries without effect. In the end they have just given up hope on eliminating them. We hear people say, "It is the way I am." Many of us seem to have just accepted the fact that we worry. We do worry, but we don't have to! What keeps us from solving the problem? This sixth session reveals the hidden power through which worries and stresses become so difficult to overcome. We have illustrated this insidious struggle from a well-known battle scene. Most people dream of peace. They have never experienced it. Anxiety, stress and fear are their companions. In session seven, we not only clearly explain how temptations affect us but also illustrate how God's amazing promises counter these temptations. These lessons are so practical that they beg us to apply them. Come and look at some amazing words of God that actually guarantee real peace if we abide by certain steps. Discovering and understanding the three levels of anxiety. Worries often get out of hand. Nobody has solutions for stopping their recurrence. They only might offer advice on how to make these 'attacks' less severe. How would you like to get rid of them? Session eight explains the mysterious roots of anxiety and then proceeds describing the three levels of anxiety. Panic attacks are the third level. Accurate diagnosis leads to genuine solutions. An exciting historical story is told highlighting the way to regain and renew the faith we need to live above the reach of anxieties. Mastering the three stage process to overcome worries. These last two sessions condense all the former lessons into three short steps. Remember peace results in a series of decisions. There is no magic or surprise, just simple straightforward decisions we need to consistently live by. This training enables each of God's people to tackle most any anxiety that you or a friend might have. Nothing, of course, can be done without the preparation of the heart, but if God is working, then these steps do the job of restoring someone. Exciting illustrations along with many practical applications dominate this lesson. Behind many worries and fears is death. No one likes to admit this because they do not have any way of handling death and its fears. God knows that as long as we fear death, we cannot be free to live for Him. Powerful truths are shared throughout this closing session to inspire us to be one of God's overcomers. 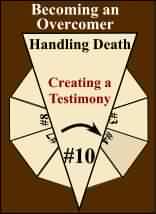 Real life stories of recent Christians facing death boldly illustrate the lesson's important principles. Overcomer or overcome? Your decision. God has made the victory possible through Jesus Christ. Our goal for this seminar is to give you a testimony to share with your friends. Remember to thank God by telling other people how He has helped you overcome your own anxieties! A timely and powerful message for an anxious generation! God has revealed His precious truths on how to effectively eliminate worries from our lives and to live in His constant peace. Common worries as well as extreme ones are dealt with. As we explore God's truths from the scriptures, we are challenged to live in God's amazing peace. As rumors of war, economic setbacks, disease, and terrorism impact our lives along with the many other concerns of life, these truths become all important. We get to see and experience God's love and holiness in a very practical way. A long weekend church seminar. If you like to contact us about the seminar materials or having Paul speak, please feel free to contact Paul at info@foundationsforfreedom.net. D2 - Reaching Beyond Mediocrity is a whole overcomer series including a chapter on overcoming anxiety. The BFF #2 Discipleship Training Library has all the Overcoming Anxiety seminar materials and much more! 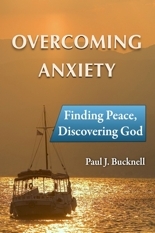 Special offer if the Overcoming Anxiety book and the Discipleship library are purchased together. 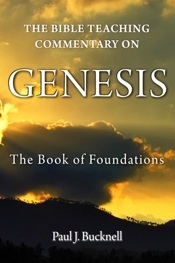 e-Book is also available. Buy Overcome Anxiety: Finding Peace, Discovering God here!